Katy Perry and Orlando Bloom are reportedly back together, 11 months after announcing their split. According to some of their friends, the couple, who announced they had broken up in March last year, are back on after enjoying a romantic trip to the Maldives. 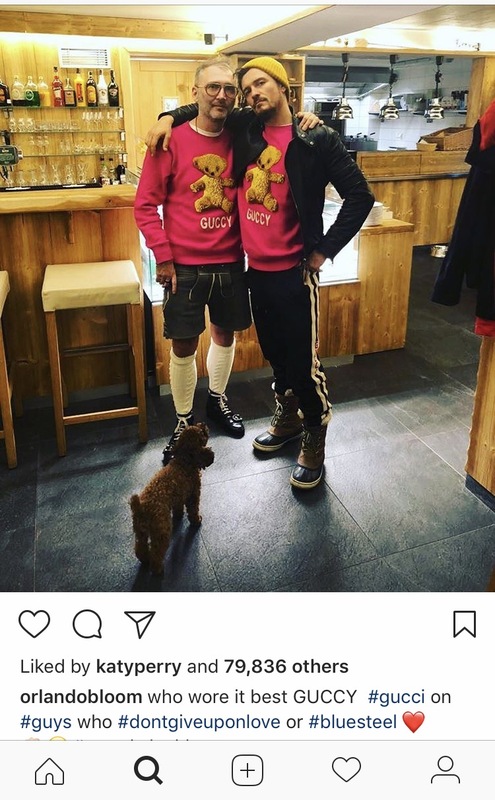 Rumours have been circulating for the past couple of weeks after they were spotted on holiday, and people have been pointing out they have been ‘liking’ each other’s Instagram posts. They’re back on. Katy wants to make things work this time around. She tried, but she couldn’t cut him off. She cares too much about him. This time, they’re keeping things low key – but they’re back together. 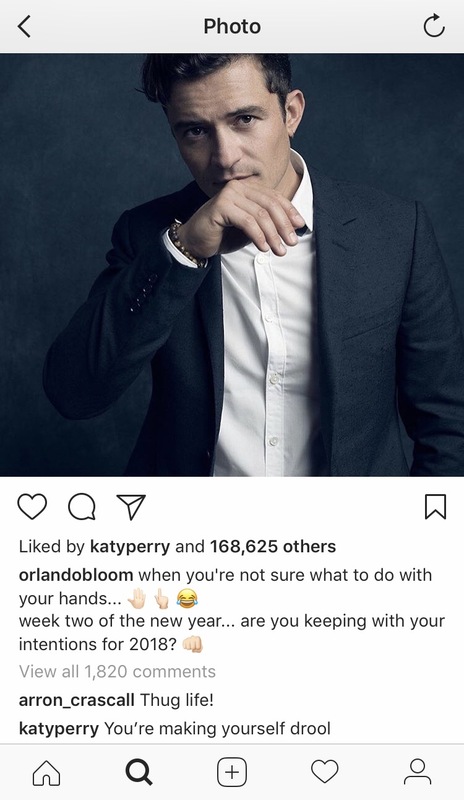 Katy Perry also commented on a video Orlando posted on Instagram on January 31. 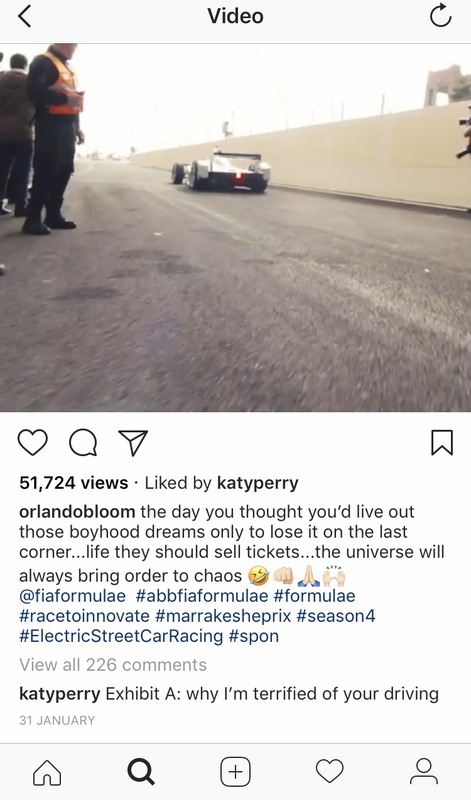 In the clip, Orlando is in a racing car and crashes it. Katy reportedly flew into the Maldives after a show in Dubai, and Orlando posted to say he was enjoying a break at the luxury Amilla Fushi resort. Fans reportedly spotted the pair separately, then a friend’s tagged Instagram post revealed they were both at the same resort. Fans also noticed Orlando wearing a yellow Supreme hat on his Instagram Stories, which is the same as the one Katy wore on a trip to Japan with Orlando last year. 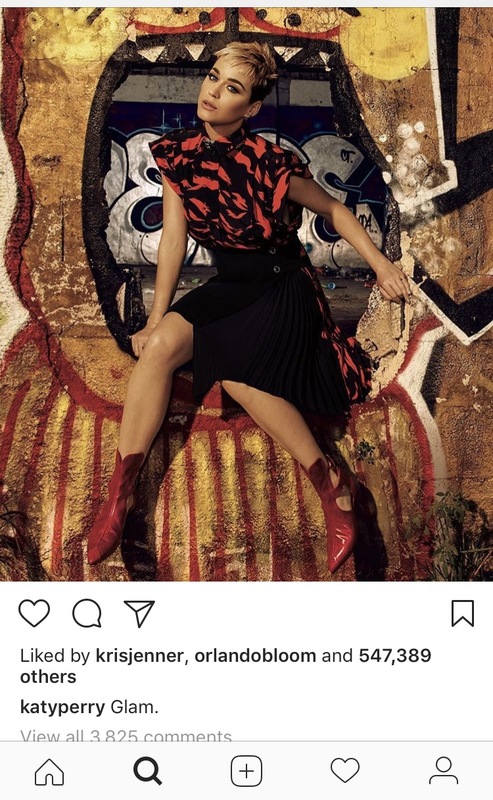 She also keeps ‘liking’, and has commented on a photo of his pet dog Mighty. Who is ridiculously cute. Katy also posted an Instagram Story of her and Butters (her pet pooch) relaxing together at home. In the video, Katy was reportedly wearing a special customised onesie with Orlando’s face on printed on it. When they broke up, the statement said they were taking space. Before rumors or falsifications get out of hand, we can confirm that Orlando and Katy are taking respectful, loving space at this time. Five weeks later Orlando told Elle UK they remained friends. We’re friends. It’s good. We’re all grown-up. She happens to be someone who is very visible, but I don’t think anybody cares what I’m up to. Nor should they. It’s between us. It’s better to set an example for kids and show that [break-ups] don’t have to be about hate. If you can remember, it was during their relationship THOSE photos appeared online. You know, the ones where he’s letting it all hang out while paddle-boarding with Katy. The couple were off the coast of Sardinia when the paps got their shots. Yes, it was extremely surprising. I wouldn’t have put myself in that position if I’d thought it would happen. Time will tell I guess, unless they’re just good friends.